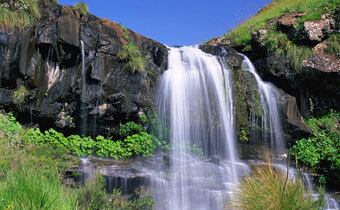 Tours throught the Drakensberg are guided and can vary in length od days depending on what you want. 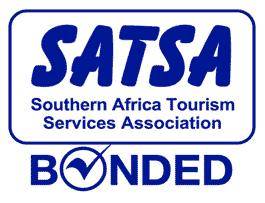 Please note that tours up Sani Pass and into Lesotho require a valid passport. 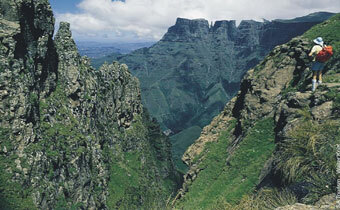 The top of Sani Pass is 2874 metres above sea level and it takes about 2.5 hours to get there. Once at the top, you can have lunch (not included) at the highest pub in Africa. Once you have enjoyed your lunch, you will travsel to one of the local villages in Lesotho where a guide will inform you with facts about the country. Traditional beer and homemade bread will be available on request. There are a variety of Sani Pass tours including the Sani Pass day tour, the Mokhotlong Day Tour, 2 days and one night tours, 4 day and three night tours as well as the option to have a package tailor made for your needs and wants. 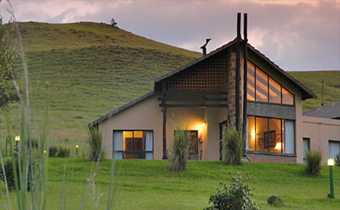 A nearby adventure specialist base offering quad-biking, archery, zip-lines, paint ball and in-seeson white water rafting on the beautiful Tugela River (from around December to April). Close by in the Dragons Peak Park are the most easily accessible rock-art from our San predecessors. High up in the mountains there are many but are difficult and to reach and find. Giant’s Castle Nature Reserve 1¼ hours from The Nest by car features an original Bushman cave museum and beautiful original paintings inquire at Reception. View our battlefield accommodation options here as well as the top 10 battle sites in the Isandlwana area. We also have a full list of guieded tours and sites that you can visit by yourself. Includes: Breakfasts, Dinners and Lunch on second day, transfers and tours. 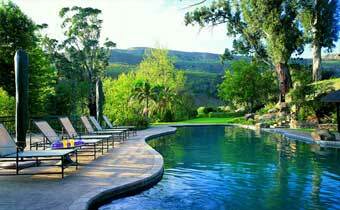 Includes: Picnic lunch, Dinner, accommodation and breakfast. Includes: Picnic lunch, Dinner daily, lunch, breakfast daily , accommodation and breakfast. Please complete the enquiry form and we'll get back to you shortly. Aimed at those driving down from Joburg to Durban and are looking for a bit of a quiet break inbetween the two cities. 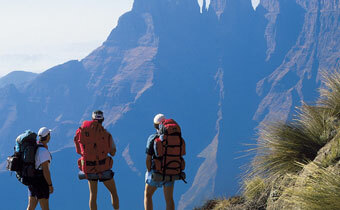 2 nights at Cathedral Peak in the central Berg and 2 nights at Elephant Rock in the Nambiti game reserve. Total actual drive time is 4 hours to Cathedral Peak - 90 mins to Nambiti and 3 hours to Durban. Our newsletter goes out every 2 weeks and includes travel specials to hotels, game lodges, island and beach destinations all over southern Africa. and this website has been serving clients and sending them on great holidays since 2003.